I’m kicking off a series here where we’re going to explore different aspects of wormhole life, touching on specifics of system effects, tactics and more. This first installment is going to focus on the mass/time limits on every wormhole and the considerations we have to make when using them. To avoid boring anyone already with an in-depth newbro explanation of what wormholes are, I’m going to give a cut down one. 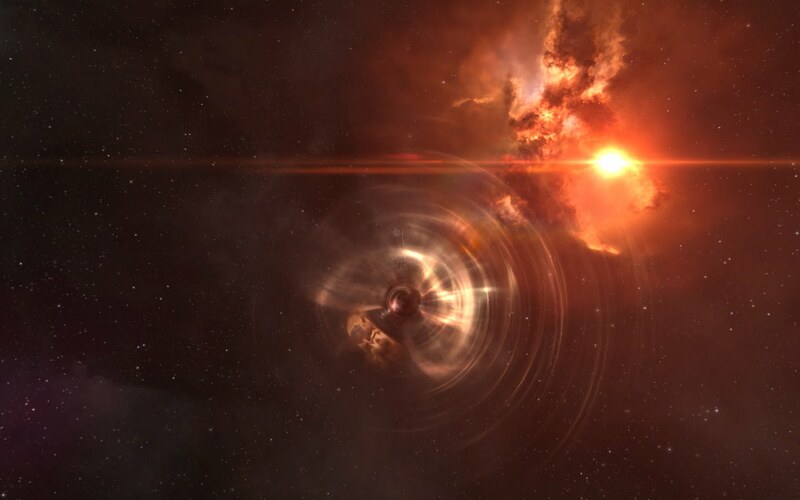 Basically it’s like nullsec but with holes instead of gates, full of rich people who watch dscan more than you do. If you want to live here, or even just move around in this space then you absolutely need to be aware of wormhole restrictions and what they mean. At a base level every ship in Eve has a mass value, measured in tons but frequently shortened to kilotons (For example, a 12.5 kt Loki or 2000 kt mass hole). In k-space, you don’t have to consider this value more often than not. You might if you’re designing a bump ship or using an oversized prop, but generally it’s not an important stat, until you start jumping holes that is. Over time you come to learn them and if you know what to look for, you can even tell where a hole leads from its appearance alone. Those wormholes can all be identified as one class or another and a typical one that you might come across would be an H296 – a C5-C5 static. This type of hole will permit a capital ship of around 1200 kt and will collapse after 3500 total kt have passed through in either direction. That’s equivalent to 35 Bhaalgorns going out or 91 Tengus hopping out and back in with their prop mods offline. However, this is just one of dozens of classes with different limits, jump masses and natural lifetimes. Over time you come to learn them and if you know what to look for, you can even tell where a hole leads from its appearance alone. As with every other part of New Eden (or Anoikis as it may be), fleet composition and doctrine is a large part of any fight. The main difference you have to consider is how to actually fit all of your ships through wormholes to reach a fight in the first place. Trust me, it’s no fun when one of your dreads is cut off and you still have a fight to take without help from home; you have to do it right every time. Despite this, having entrances close behind you creates a very interesting meta. Since neither side can bring more in most cases and it’s highly unlikely for a third party to roll in, you can afford to splash out with all of that wormhole ISK on some of the best fits money can buy. A proper brawl can easily cost the pilots 50b ISK in losses. With both sides being locked into a single system, likely without an exit, it’s a cage match of internet spaceships. Do you want to take dreads? While this option isn’t always accessible, particularly for newer groups, it remains an integral part of brawling and is often what shapes the battle ahead. Even bringing a single blap dread can give you the alpha required to punch through a tank before reps can catch up – do this enough and you hold the grid. That being said though, it’s still a big decision to take a single ship which equates to the same mass as 13 Bhaalgorns alone. Pushing three of those through is a bit like trying to squeeze into jeans that you know don’t fit you any more and requires some finesse. It can be a gamble but there are some insane triage pilots out there and flying it solo is the perfect way to cultivate their skills. While similar to taking a dread mass-wise, dropping six Guardian pilots for just one FAX is viable. With a small amount of simple DPS multiboxing you can easily add another 5-6k dps in Legions to replace that logi. You’ll gain more damage but then you’re putting all of your trust in a single person to hold the fleet up. It can be a gamble but there are some insane triage pilots out there and flying it solo is the perfect way to cultivate their skills. Of course, there isn’t anything stopping an FC taking a second/third triage boat. Doing that means you aren’t going to break anything for a very long time and people will probably hate you! How many battleships can you fit? While the quintessential wormhole brawling ship remains T3 strategic cruisers with their tiny mass, you will often need to bring along something a little more heavy duty. Weighing in at over seven times a single Legion, neut Bhaalgorns are a staple of any serious wormhole fleet. Their incredible neuting power and ability to keep on fighting using their NOS role bonus makes them great at breaking down enemy cap chains, putting pressure on capitals or shutting down capacitor based DPS. Usually when considering what can be brought it’s a case of “alright, how many Bhaals can we get through with the caps?” and working from that point. All this isn’t to say that other battleships aren’t useful – you could certainly find a place for a Machariel in a pinch or rock up with a fleet of frying pans. Could anything get left behind? Putting it all together, you’re always going to have this mass dilemma in the back of your mind. You have to get at least a reasonable comp through the hole so you’ll have to start prioritising who actually jumps. If you’re using the full compliment of three capitals it can get a little tight. After two Naglfars have jumped a fresh hole you’re already down to just under 1000kt of mass remaining on a H296 wormhole which happens to be enough for 63 Legions actually. Considering regular hole usage plus five battleships however, there is enough mass left to take 20 mixed support before you really have to stop and squeeze the last capital out. There are of course some tricksy things that can be done such as storing battleships inside of capitals for example, or turning off plates to reduce mass. Those help, but you can’t always be sure of the mass the hole started at. Up until now, we’ve discussed how mass plays out in C5 space. Things can start to change considerably moving down the chain and run into Z142s, T405s, A009s and more. As with the H296, these holes have their own individual mass limits and jump mass limits. Some wormholes such as an X702 will let you jump pretty much any size of battleship you want up to 300 kt, but do that four times and it’s closed. Sometimes it may be worth doing that intentionally though – once that system’s static is closed, another one will spawn moments later for to be scanned down. This is known as rolling a hole and is a frequent part of wormholer life. While caps can swiftly roll a high-class hole in seconds, forcing another sig is significantly more difficult if you don’t have the know-how. The first thing you should do is check the mass of the hole you will be rolling as any FC needs to know exactly how much mass they need to put through. 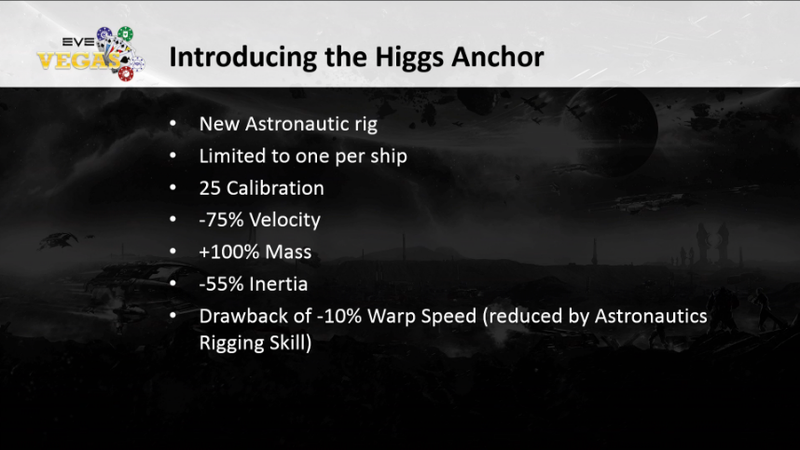 The safest way to do it from here is to jump Higgs Anchor-fit battleships through until the wormhole itself noticeably shrinks and the flavour text reads that it has been disrupted. You can speed this up by turning on prop mods such as MWDs or ABs, the larger the better. From this point, the Higgs can be left out in the foreign system and the FC can proceed to jump regular battleships cold. This is done to decrease the mass in small increments until it becomes critically disrupted. In nearly every situation, jumping the Higgs back now will collapse the hole due to its naturally higher mass and leave everyone safely in home. Let’s imagine the hole doesn’t close though -what is left is a crit hole that will surely collapse if the fleet heads out. In this situation, the FC needs to break out the HIC as those special little cruisers have the unique ability to reduce their mass to somewhere below a frigate by turning on their bubbles. The HIC pilot will require at least three or four bubbles to be safe, allowing them to leave, hardly disrupting the hole at all, then coming back in with a much larger mass. Do that a few times and the hole will close. So why do we actually do this? Well content is the name of the game. Sitting in the same chain all day or in your own hole without scanning is unlikely to yield much action so you might as well be ship spinning. By rolling the static, you can start off the chain once more in a completely random place in space. It opens you up to new krabs to gank, gas to huff on or remote areas of nullsec to hunt in, so take your pick and go find your content! There are many nuances of wormhole space and honestly it is impossible to learn them all from just a guide. This article is a small taster, but the best bet is to go out and speak to people, join a wormhole corp and get involved. A lot more goes on that many would have you believe.